One of our questions for our student trips is how to insert more the educational value to the visiting sites. 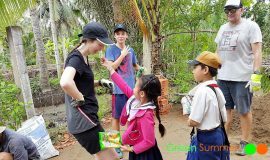 Vietnam school tours Hanoi still make that with distinctive features for an Oriental city. 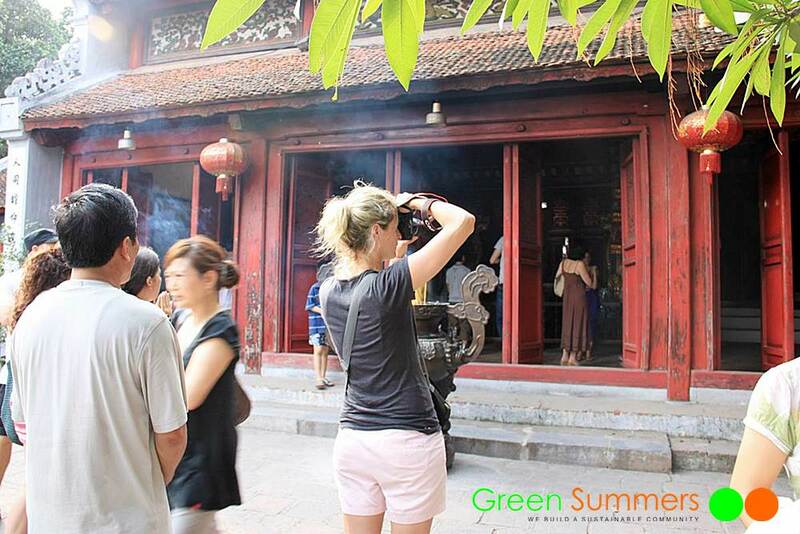 There are many ancient temple and pagodas in the city and these are inevitably the destinations of our trips. Those are the authentic exposure of the special culture of Vietnam. We will visit some temples which are of strong impact from Taoism. This reflects the main ideology and life style of Vietnamese on Taoism. We also visit one or two pagodas of Buddhism which is the main religion in Vietnam. Students will have chance to listen to tour leaders to explain on the special features of the beliefs, the architecture of temples and pagodas. Learning things at sights at Vietnam school tours Hanoi like this will make students understand very well the special features of this oriental culture. 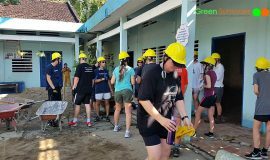 Local tour leader are also experts in culture so students will gain impactful understanding on the day trip. 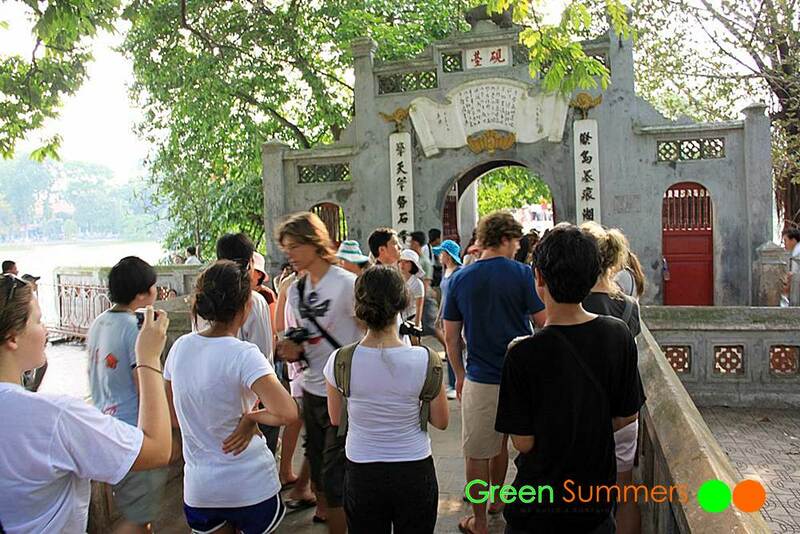 Meeting and witnessing people coming to the temples and pagodas are also opportunities for learning about the culture. There might be little need of words of explanation from local tour leader. And combining with seeing the praying and conducting the ritual processes, students can have learn faster than reading a long book about Oriental culture. What are the really special features of Hanoi as compared to other Oriental cities? 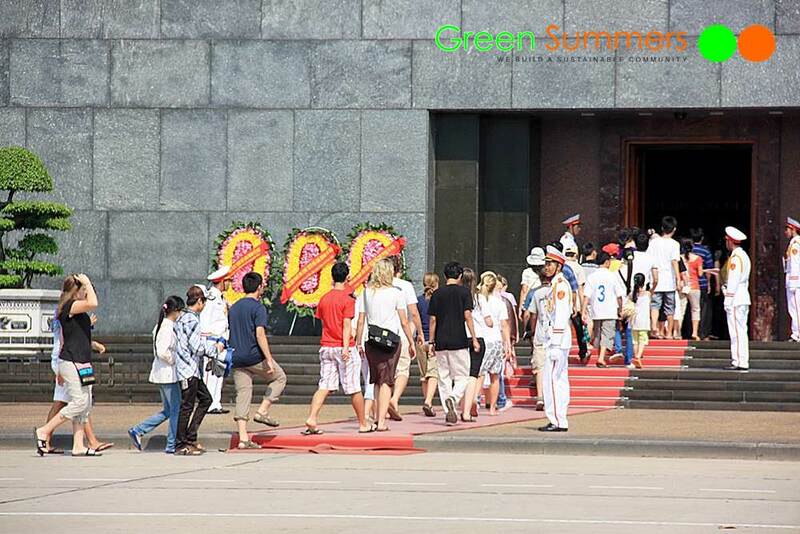 Your Vietnam school tours Hanoi will definitely take you to the mausoleum of Hochiminh, the leader of Vietnam at the wars. Students will have chance to visit his embalmed corpse. That’s a unique experience that you might not have chance to do it again in your life. Together with watching the changing guard parades, students can have a very true feeling on Vietnam. 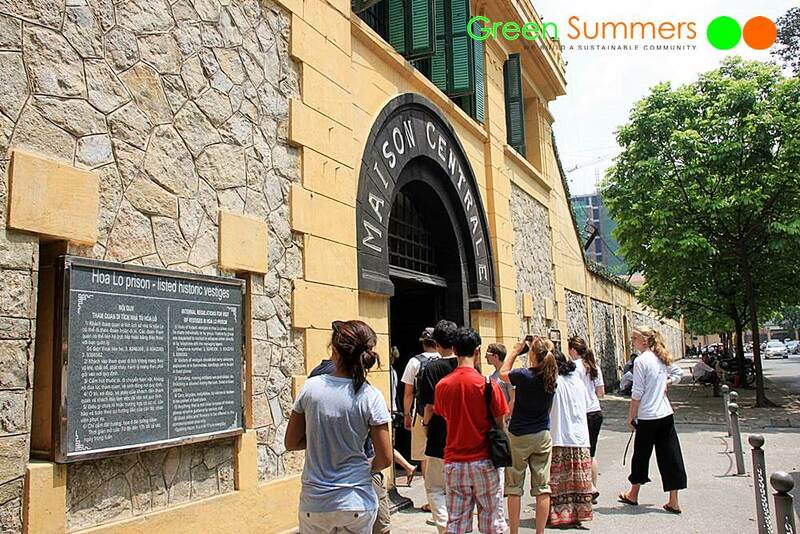 Visiting Hanoi Hilton is another aspect of educational travel. It is a part of a big lesson of war of Indochina and Vietnam War later on. Hanoi Hilton is a nick name of Hoa Lo prison. The nick name was made by US B52 bombing pilots who have been jailed here for a while before going home. 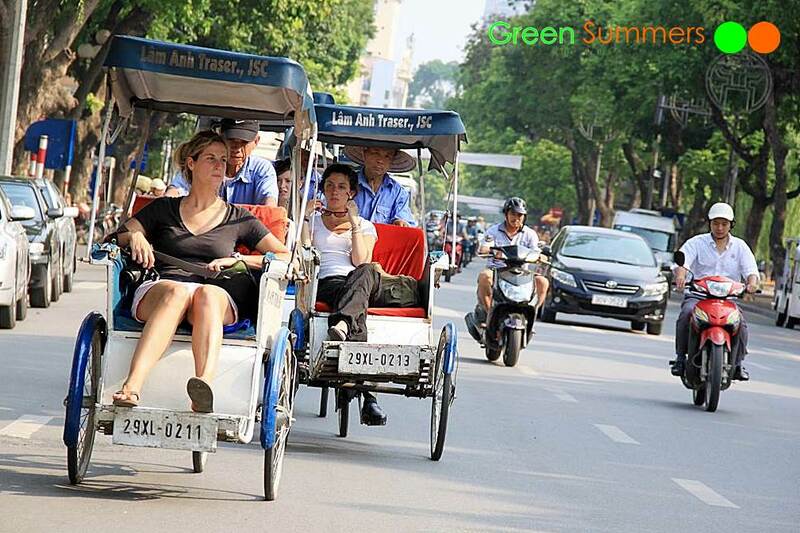 What is more, your Vietnam school tours Hanoi could not miss a cyclo ride along the ancient streets of Hanoi. Cyclo is a kind of rickshaw which its driver is at the back of passengers. This no engine vehicle rolls on the colorful streets of Hanoi, bring a great close up to the local daily life Vietnam. Your Vietnam school tours Hanoi also have 60 minutes on a theatre to see a very typical culture show of Red River Delta people: water puppet show. The delta is constantly impacted by the flood very year. The water puppets are the games of local people to entertain among flood time. 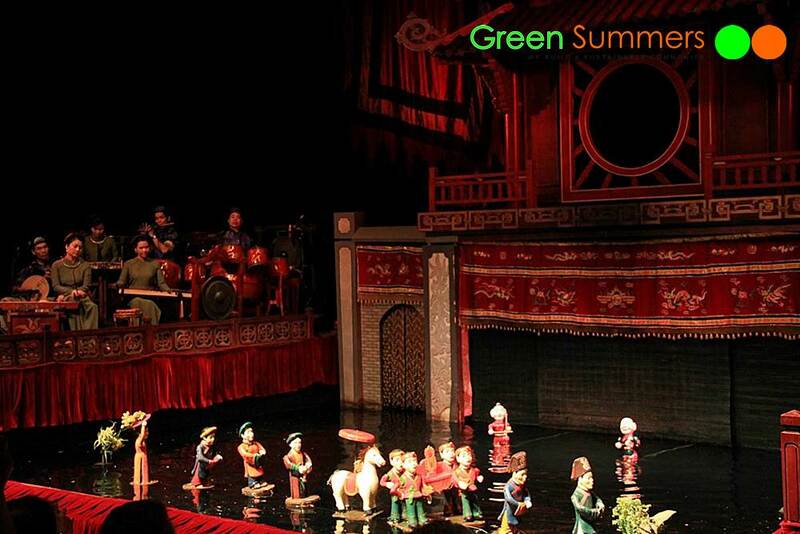 Moreover, the water puppet show tells the stories of Vietnamese histories, cultures and daily life. The music, the musical instruments, the voices of singer at the show make deeper discovery for students. 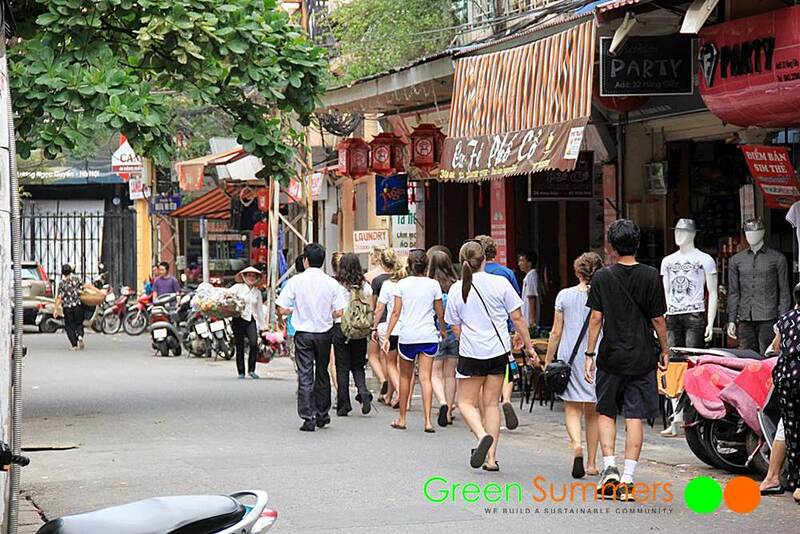 Don’t forget small things at Vietnam school tours Hanoi like a walking along streets in the Old Quarter Hanoi and seeing a busy life around. 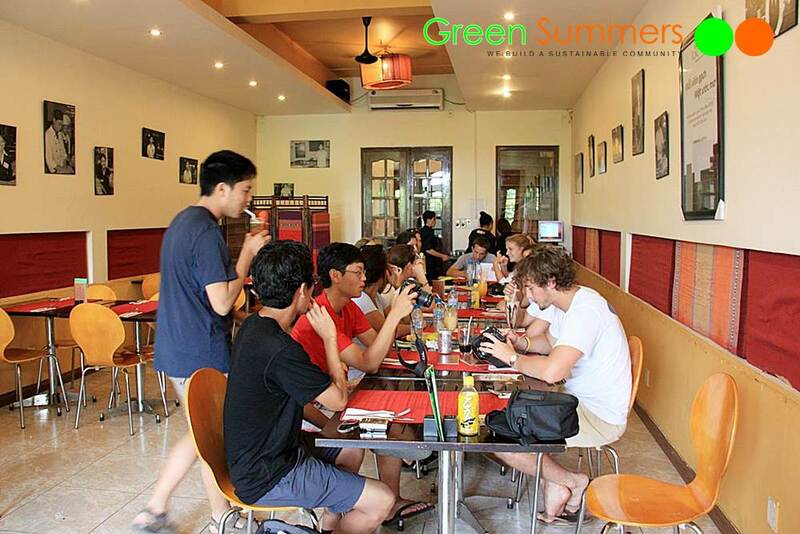 Last but not least, the food makes big part in our Vietnam school tours Hanoi. We might eat at some restaurants with special history, and unique fishes. However, we always visit KOTO, a restaurant cooked and served by street children. 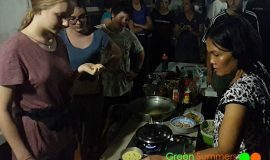 This social enterprise collects homeless children and gives them accommodation, trains them English, trains them how to cook and to serve. Eating there is a simple way to encourage the children to join the good site of life. Students can have opportunities to gain a skill. They can also graduate and work at some famous hospitable entities in the city. The society has one better citizen, and it will have less one bad crime. 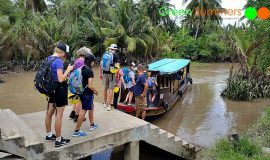 Our Vietnam school tours Hanoi has more things than this, as the city is so rich in culture and heritages. 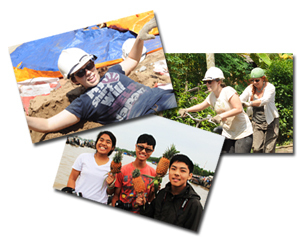 Join us as we always try to integrate educational values to our student trips.